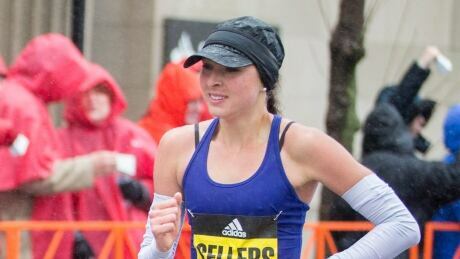 Sarah Sellers ranked 42nd going into Monday's race, but unexpectedly outpaced some of the world's top runners to finish second. 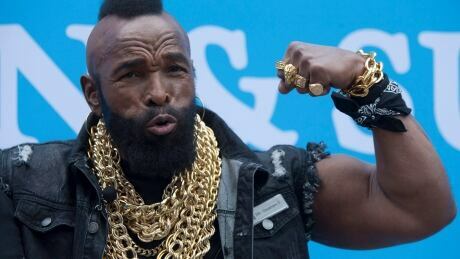 Curling has a new ambassador - Mr. T. Ever since the start of the Winter Olympics he's been glued to the sport - and has been tweeting feverishly about his newfound love. 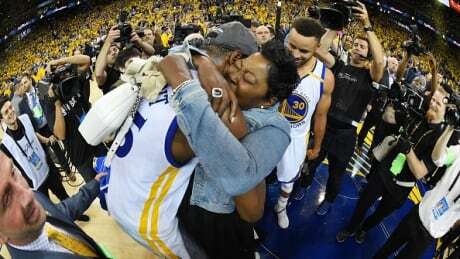 Kevin Durant's mother, Wanda Durant, has been with her NBA star son since the start of his career. Now he's an NBA Finals champion and MVP. Bryce Weiler, who has been blind since birth, has commentated more than 100 sports games. 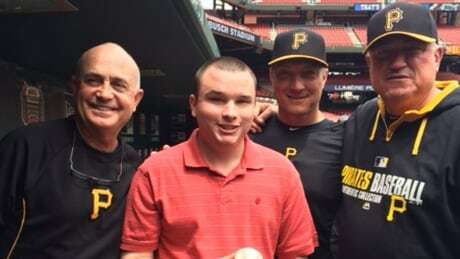 Now he's working to make baseball more accessible to people with disabilities. 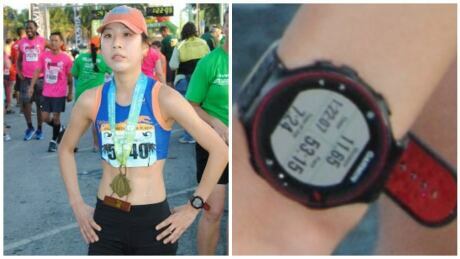 As It Happens talks to an Ohio man who busted a cheating half-marathon medallist using fitness tracker data and high-resolution images. 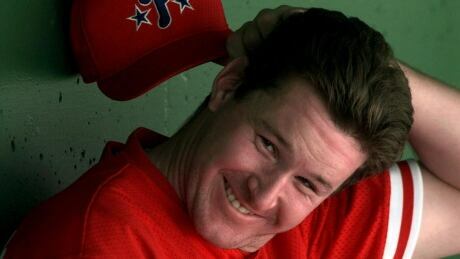 There won't be any wild pitches, or anything unexpected, with the new no-pitch intentional walk rule this season, much to the chagrin of Paul Spoljaric, former pitcher for the Toronto Blue Jay and Kansas City Royals. Don't call it a "Granny-style" free throw — at least not to Rick Barry. The NBA Hall of Famer ignored the relentless teasing when he used to shoot underhand free throws. 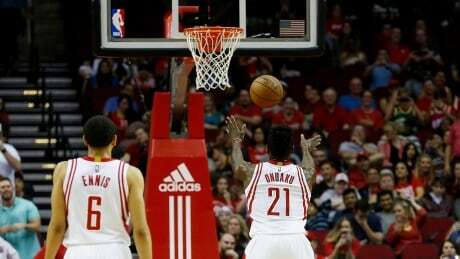 And now, more than 30 years since the technique was last used, a Houston Rockets player brings back the move. Last night, Phoenix-based banker Nathan Schoenfeld was giving his 5-week-old twin sons a bath. 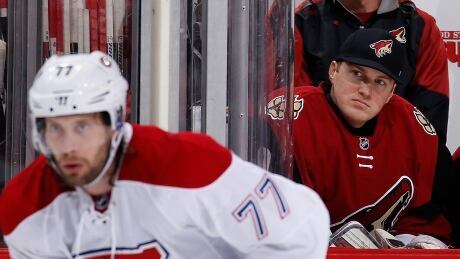 And then the bank manager got the call of a lifetime — to fill in as emergency goalie for the Arizona Coyotes against the Montreal Canadiens. 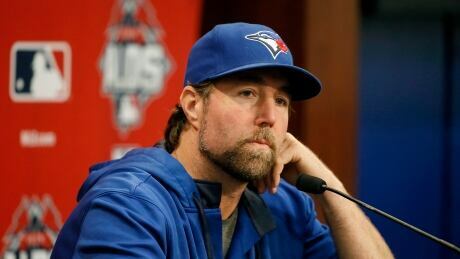 The Toronto Blue Jays came up short in their drive to the World Series, but pitcher R.A. Dickey predicts they'll be back playing playoff baseball next season. You are currently browsing the archives for the Radio/As It Happens category.